The "Cast" recreates the sights and sounds of The BEATLES so faithfully that you will recall when the world was engulfed in the most pleasant fever of all: BEATLEMANIA! 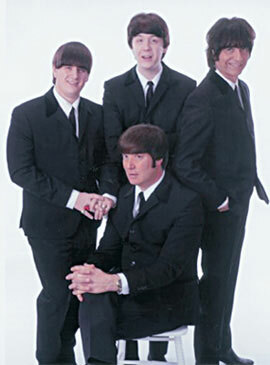 The "Cast" continue in their show as The BEATLES changed in their careers. Three different costumes coincide with the changing music and times. Theirs is the first, original and only complete representation of the musical force called The BEATLES. The "Cast" features former members who starred in the Broadway production and have performed in all fifty states and over twenty foreign countries, including Canada, England, Mexico, Brazil and Japan. The "Cast" was individually selected from thousands of musicians who auditioned from all over the U.S. for the Broadway show, BEATLEMANIA.